Convum - Vacuum Automation Equipments Supplier in USA | DAS Services, Inc.
Convum (Myotoku Ltd.) is a prestigious Japan-based company that engages in the manufacturing and marketing of vacuum equipment and components to satisfy your every need. Some of our products include Convum vacuum generators, vacuum cups, pressure sensors, filters, vacuum pump systems, and mini cylinders. 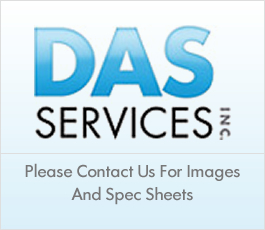 At DAS Services, Inc., we have the solution. Contact us today for all your Convum vacuum generator, vacuum pump system, and other vacuum product needs. DAS Services Inc. offers high-quality actuator systems from Convum that can accommodate a broad range of application needs. Whether you're a small company just getting started or a large corporation that's been in the industry for years, DAS Services, Inc. is here to help you find the solution that's best for your business. Shop top products today, such as our pneumatic rotary actuator! Convum pressure sensors and Convum vacuum switches are some of the best solutions we offer for controlling all your pressure values. You're guaranteed the best pressure and vacuum sensors products in the business with Convum. There's also a huge selection of features and options available for you to choose from. If you're interested in standard Convum pressure sensors or even separate type pressure sensors with solenoid valve control, Convum has a solution that will certainly meet your needs. You can view and access all our premium products that are available right from our website. From Convum vacuum switches to electronic pressure sensors, we have it all! Let us know if you have any other questions and concerns about the products that we offer. Our New Convum Touch Connector is made up of only six important parts. It's unique and newly designed with a durable lock ring that assures a tight tube connection and smooth insertion. The tube can be inserted with minimum force, and has high airtight reliability. It's also made of flame-resistant resin material PA and F/G which ensures the highest quality standards on the market. We are here to provide efficient, cost-effective solutions for businesses and spaces - both big and small. Are you looking for something that will work in a small area? Convum Speed Connectors have a compact and light body design for use in confined spaces, and are capable of precisely controlling a wide range of airflows. Need push-in connectors or speed controllers in bulk? We have solutions for that too. What's holding you back? Let us help you find the right Convum Push-in Connectors, Speed Controllers and Tubes that will certainly meet your requirements. Convum Check Valves: The Filter element is integrated in the check valve body. Suction is maintained even when there is no contact between the work piece and a portion of the suction pads. Convum Vacuum filters: Easy maintenance, high vacuum air flow and flat design. Convum Silencers are lightweight, direct mounting and easy to fit. Ejectors able to achieve High Vacuum Flow. With convenient features such as filter mounting options, sensor mounting options, self-holding solenoid valve choices, and common exhaust, we can create a product specifically for you. If you're looking to save on space and energy, our compact Vacuum Ejectors are the smart financial solution. Convum is, without a doubt, the leader in Vacuum Ejector Technology. Feel free to contact DAS Services, Inc. today. Let us find the Vacuum Ejector that best suits your needs! When it comes to vacuum pump systems, you want to ensure that you're getting premium quality and this is where Das Services comes in. Get access to tailor-made vacuum pump systems from Convum who is the manufacture one of the most reliable types of vacuum pumps that will definitely meet your requirements whether it be for laboratory or industrial applications. Convum provides a standard Cyber Pump with a very simple construction rotary vacuum. These utilize very little space and also have an integrated cooling fan to suppress the temperature that may rise within the body of the pump. Convums Compact Rotary Vane Vacuum Pump is a pump switching valve with Easy Installation and Space-saving features. If you're looking for a pump stitching solution, this is one of your best bet. We also supply a wide selection of other vacuum switching valves that can fit almost any requirement that you desire. Remember, if you are in need of vacuum pump systems or other similar solutions, let DAS Services Inc. do the work and help you find the right solution that's perfect for your needs.